If you have ever seen a playground in a McDonalds or a large commercial area, you may have admired the one-piece rubber flooring that covers the playground. 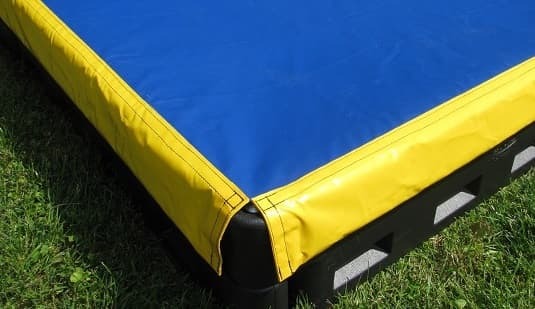 That synthetic playground surfacing is typically composed of rubber particles with a urethane or latex binder, and is commonly referred to as poured in place rubber surfacing. It’s professional and permanent, and it’s highly rated for falls. On the other hand, the poured in place rubber cost makes it impractical for many organizations. 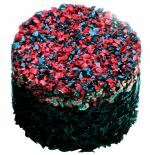 See for yourself whether it’s the right surfacing for your playground. 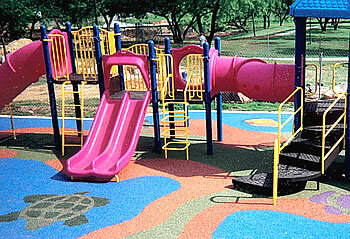 Advantages Poured in place rubber playground surfacing allows for permanence, low up-keep, improved protection, cleanliness, and, when installed right, drainage. Disadvantages The initial cost. Although comparable over the life cycle of a playground with that of loose-fill materials, the initial cost is buying and installing synthetic surfaces may present problems for smaller organizations. 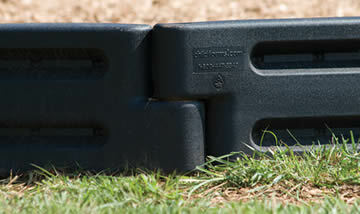 Thicknesses Depends on the height of playground equipment. Can be modified during installation to meet your fall height needs. Colors Various colors and designs are available. 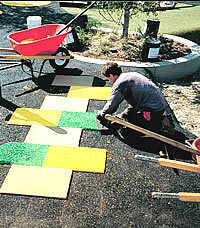 Because school colors, logos, games and/or geometric shapes may be permanently incorporated into the surface. Material Generally sold as a material that is mixed and poured on-site. The rubber and urethane components are mixed, poured, and smoothed onto the playground by professional playground specialists. Base Synthetic rubber surfacing should be installed over an existing hard surface, asphalt or concrete. At a minimum, it can be installed over a base of mechanically compacted crushed stone. The base must be level. Preferred Brand For most purposes, we prefer the Poured In Place brand. It works well and is cost effective. Major Poured-In-Place users include the General Services Administration (GSA) and most fast-food restaurants. Prices If you want to install synthetic rubber surfacing over existing concrete, asphalt, or compacted crushed gravel, the price is approx. $15 per square foot. If you want to install synthetic rubber surfacing over dirt or grass, the price is $15 per square foot plus the price of installing the layer of asphalt, concrete, or compacted, crushed gravel. All in, you’re probably looking at $20 – $25 per square foot. Please note that these prices may vary, depending on the characteristics of the play area. For an exact estimate, please phone us toll free.